I posted this post a few years ago but wanted to revive it a bit with new images. 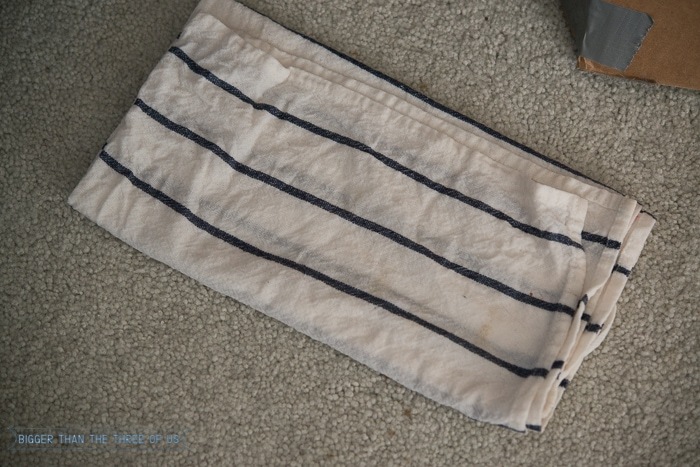 This is our go-to way of cleaning carpets and rugs and I didn’t want it to be lost in the archive of the blog. Hope you all have a great Friday! 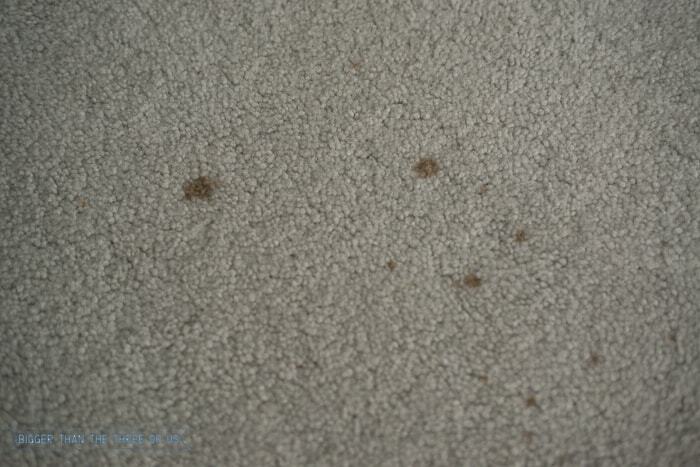 Let’s get onto our post… Remove Carpet Stains Without Chemicals! I still remember this as if it was yesterday and, in fact, it was more than 5 years ago. We were newly married and living in our first apartment. Our first, brand-new, first-renter apartment. We hadn’t been there long, maybe a month, and I was doing my make-up on the floor in our bedroom. The apartment had glass closet doors and that was just the perfect place to do my make-up while drinking coffee. Well, I knocked over my whole cup of coffee on brand new WHITE carpet. To say I freaked was an understatement. Luke on the other hand, had everything in control. Let me give you a bit of backstory on Luke. His parents owned a janitorial cleaning supply store while he was growing up and one of their best friends owned a floor service company (mostly commercial mopping, waxing, etc.). At this point in our marriage, we were both in college but Luke was working overnights waxing floors at various haircutting places all over town. So, let’s just call him a floor guy. Back to the story. He was super calm and just went to get a towel and an iron. A few minutes later, the spot was gone and there were no worries. So, you can remove carpet stains (including wine). We have lived to tell the tale! I’ve had it in my mind to share this little trick with you for quite some time, but I just kept forgetting. So, here it is now. 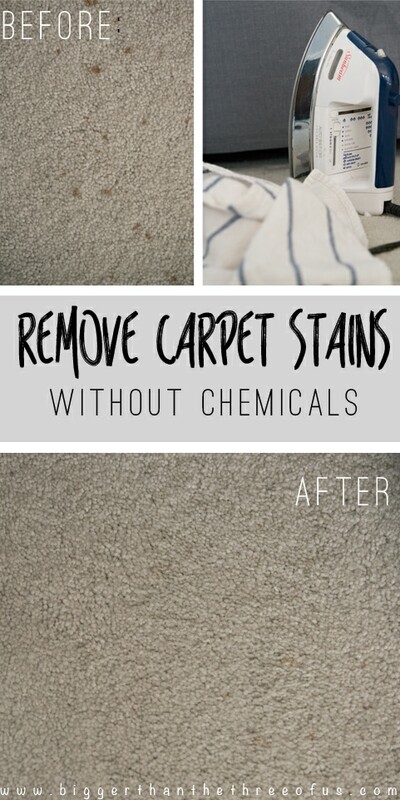 How To Remove Carpet Stains Without Chemicals! You will need an iron and a light-colored towel (one that won’t bleed color). Fold the towel and make sure to get at least two folds if not three. Using high heat, press iron down on towel. 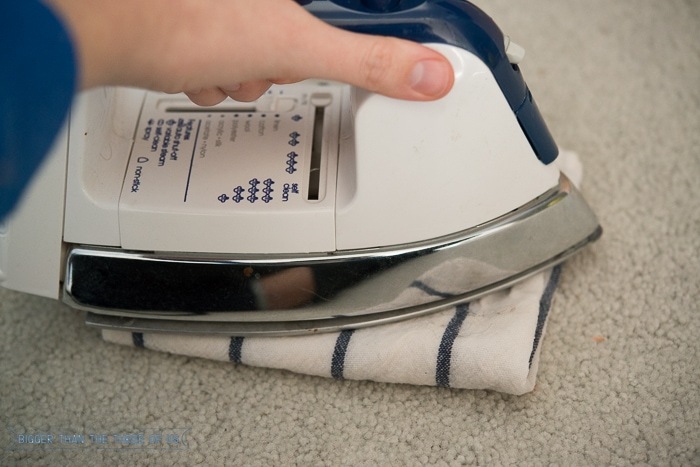 This creates steam which raises the stain to the surface of the carpet or onto the towel itself. 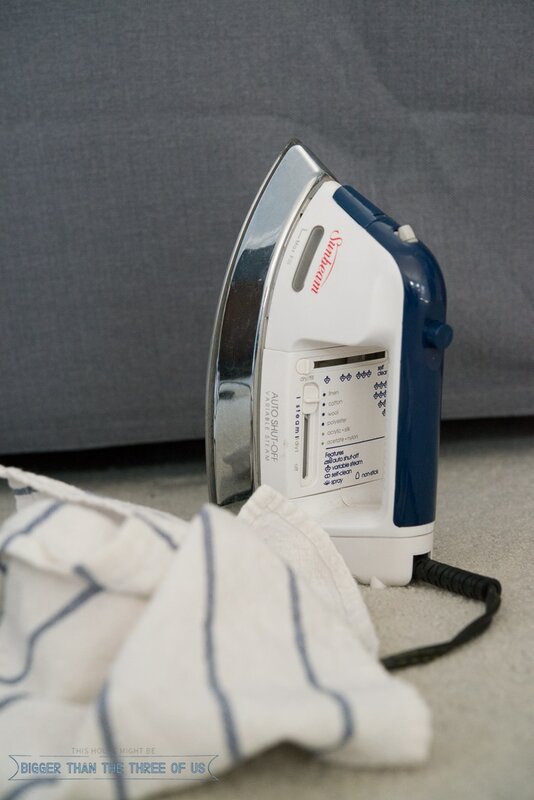 Press the iron to the towel for about three seconds. Release iron and check progress. Repeat if the stain is still showing. If you repeat the process, make sure to let the towel cool in between. 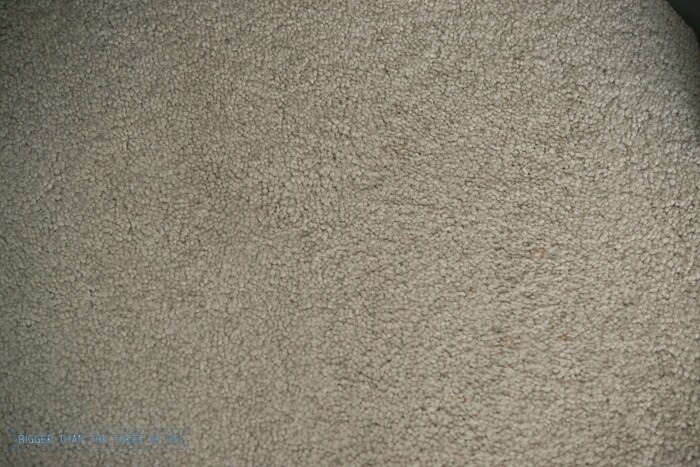 Gently rub/dab carpet to completely release the stain.